My freshman year of college I made one of the best decisions of my life. That decision was to study abroad for my first time ever in San Sebastian, Spain. 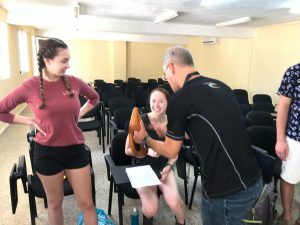 It was a three week summer program in which you live with a host family, take Spanish classes at a local school, and then meet as a group with our UMass Lowell faculty member to explore different topics and places in the city. 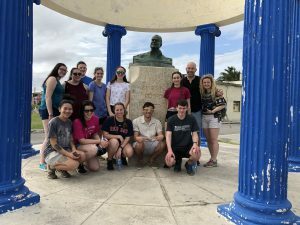 This faculty member, Julian Zabalbeascoa, actually runs a different trip, as well, one that travels to Havana, Cuba, during the winter intersessions. As you can tell, I decided that I wanted to attend this trip, as well. 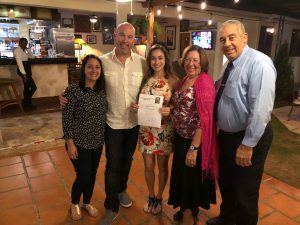 So two years after my time in San Sebastian, I was on a flight to Havana, ready to see how this new study abroad measured up to the first. Now that I’ve had some time to look back on my experiences, I want to compare the two trips in order to shed some light on what they’re really all about. 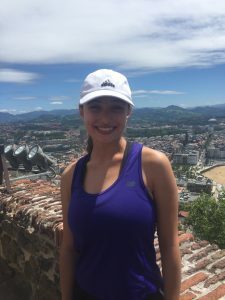 Going in chronological order, I first studied abroad in San Sebastian the summer of 2017. I had just finished my first year of college and had this trip swirling around my mind for months previous to my departure. Everything was new territory: flying on my own, being in a Spanish speaking country, and studying abroad in general. I felt this surge of newfound independence and autonomy. Of course, the trip was beautiful, even better than it looks in the pictures. We lived in pairs with different host families around the city. Because of this, it didn’t take more than a minute to feel 100% immersed in the city. I pushed myself to get out of my comfort zone with the foods I ate and the things I did. Without a doubt, I loved the person I felt like I became during this trip; someone who was more out of their shell and more in touch with the essence of life. For me, this trip was all about connecting with myself. I learned a lot, did a lot of cool things, and made memories I will never forget. But the personal growth I got out of it is what hits me the most. Two years later, I finally committed to the decision that I would also study abroad in Havana, Cuba, during the Winter 2019 intercession. I was a little bit older now, and I had already experienced the magic of traveling on my own once before. Nonetheless, I was just as excited to embark on another meaningful life experience. Cuba was different for a few reasons. One that stands out in my mind is how much time we spent as a UML group. Of course there are logistical reasons behind this, but we definitely always had a few hours together every day, which was not the case in Spain. All the students also lived together, which was new for me. I actually liked this because it made it way easier to communicate since phones are out of the picture. And the final largest difference was the age of the group, and what they wanted out of the trip. When I went to Spain, almost all of us were on the younger side, and intended to simply experience the world with other young people. 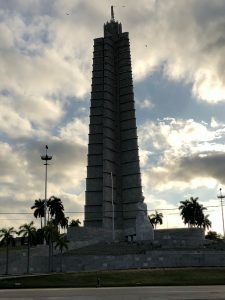 Those who went on the Cuba trip were all, in comparison, a slightly older crowd who wanted to learn about the real Cuba in order to break down any stereotypes that may surround it. 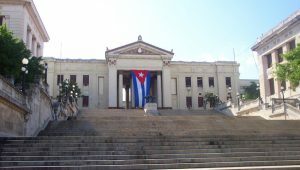 It felt a touch more educational in regards to our world and our history, and how its impacts can be seen in Cuba today. It was not the beach vacation some people imagine San Sebastian to be. Cuba truly was a trip to gain understanding of how others live in the world around us. 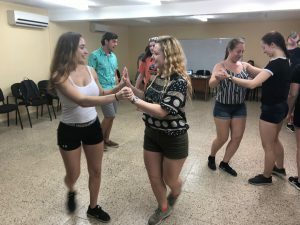 I love the respect I gained for Cubans through this trip, and I found myself connecting on a deeper level with my fellow students. Our conversations over dinner, whether they be about Cuba or not, made me think about life and what I want to do with mine. So rather than just finding myself, I really found genuine connection with others. Looking back, I feel that I gained a lot from both of these trips. 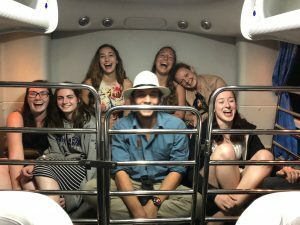 You may have noticed I used the phrase “life experience” earlier, and that’s because I truly believe a study abroad trip gives you life experience. It is something you can hold on to forever, and that will permanently alter you. 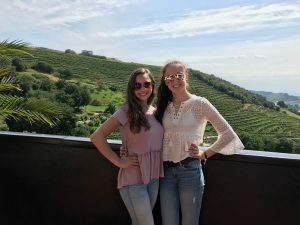 I would highly recommend both of these trips, especially if they are out of your comfort zone because no vacation in the world could mimic what a study abroad can do for a person. If you are hesitant, be brave. If you’re a picky eater, try something new. Even if you don’t speak any Spanish (like me), go to Spain or Cuba anyway and learn. I want to thank the honors college, API, and Professor Zabalbeascoa for allowing me these experiences that were immensely important to myself and my college experience. They were life experiences I hold near my heart and always will. 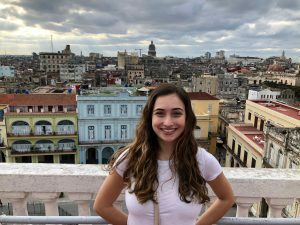 Having studied abroad twice now, I get asked a lot of questions regarding all kinds of things about both my San Sebastián, Spain, trip and my Cuba trip. One topic that I find particularly interesting to discuss is night life. I feel as if the night life of a place can come to define a people and their culture. This is immensely true in Cuba. A huge part of their culture revolves around music and dance. In fact, many dances originated in Cuba. Ever heard of the tango, the conga, or the cha-cha-cha? Aside from these, the two most popular styles of dance that I witnessed during Cuban night life were salsa and ballet. The Cuban ballet is an extremely popular attraction, putting on shows typically on Friday and Saturday nights. 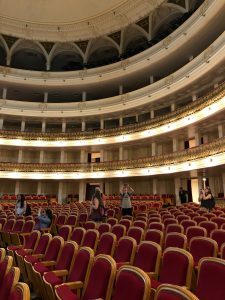 I had the pleasure to actually attend one of the shows, and it was truly incredible; the auditorium was opulent, and the dancers were even more impressive. I was blown away by the beauty and grace of it all. It was definitely a worthwhile way to spend an evening. The other dance I had a lot of exposure to was the salsa. Dancing the salsa did not originate in Cuba, but I believe that Cubans have absolutely perfected it. The salsa club we went to was definitely not what I expected; it was a stunning outdoor patio on the water, with a stage, dance floor, and trees throughout the seating area. The warm island air and the proximal water made the place feel care-free, and a lot less scary than what I expected a “club” to be like. Though this club was vastly different than the pristine ballet we attended, the dancing was just as impressive in its own way. I swear some of the dancers must have been professionals because they were blowing me away. Overall, it was probably my favorite night out of the whole trip. The entire crowd was kind and encouraging. Plus, I learned a lot of new moves from the locals that I hadn’t learned in our salsa class. 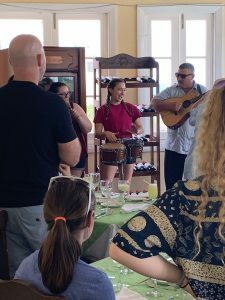 Aside from dancing, Cubans love their music and their cuisine. 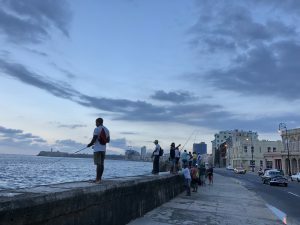 It was not uncommon to see Cuban people sitting along the water on what’s known as the Malecón, listening to music on a stereo. Or, even, making music themselves. And of course, bars and restaurants were hugely popular places to spend the night. There were plenty of cool spots to grab a seat at and enjoy the atmosphere. I found a lot of restaurants and bars were semi-outdoors, so it was very care-free and fun. 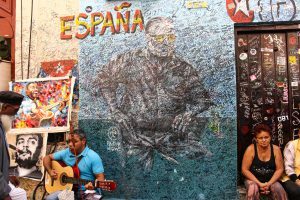 Cuba is a very collectivist culture, so being around others in the community and spending time together seemed to be important to the people. This is what makes the night life so vibrant in this community. 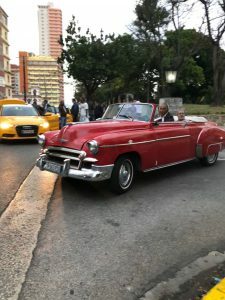 Overall, I found that I greatly enjoyed the night life in Cuba, and that the locals love to include tourists in their liveliness. Patriotism can be defined as the love of one’s country. This is not to be confused with nationalism, which includes exalting one nation above all others and placing primary emphasis on promotion of its culture and interests. As an American, of course I feel affection for my country, as most people typically do. But I can also recognize how easy it is to slip into the belief that our country is the best country. Even, perhaps, that other countries would benefit by following similar schematics we follow in politics, economics, etc. This is where that patriotism turns more nationalism. That being said, I have found through my travels that many citizens in Cuba are immensely patriotic, without crossing that nationalistic line. 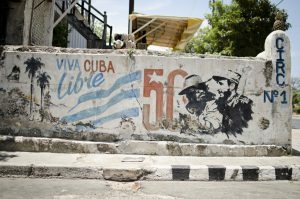 Cuban people are full of a deep-rooted pride and love for their place of origin. They love to boast about their delectable cuisine, fascinating history, and impressive dance skills. Like us, they have their country’s flag flying high all around the island. However, they are also very willing to admit to the fact that their country is not perfect; in fact, they have many issues that face them at all times. There are shortages of all sorts of food items and supplies such as household items and clothing. 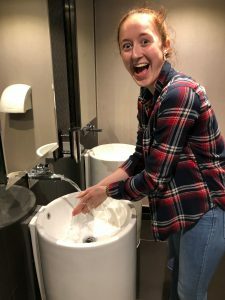 Their sewage system cannot handle toilet paper, so instead it goes in the trashcan by the toilet. Internet is not widely accessible, so one must purchase a wifi card and go to a hotspot to get their limited time on-line. 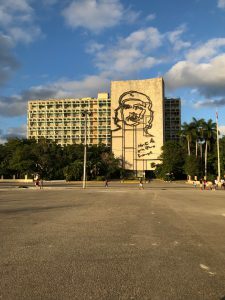 And, of course, Cubans struggle to make decent wages since there is still equal pay among all vocations except for many of those in the tourism sector. 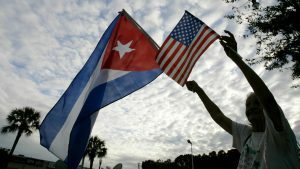 Despite all of this, Cubans manage to remain hugely prideful of their country. 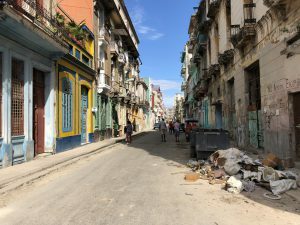 What stuck with me the most about my trip to Cuba was something our translator Ana said, which was something along the lines of this: ‘Cuba might have it’s problems, and it might be a piece of trash, but it’s OUR trash. I am so proud to live here and be Cuban.’ Anyone could tell that this came from the heart because Ana had tears in her eyes by the end of her sentiment. Honestly, I could have teared up as well. I don’t know anyone here in the U.S that knows as much about their country as Ana does about hers. She knows every fact, every piece of history, every custom and piece of culture. It even seems like she knows every person in Cuba. And for every bit of information she knew, she relayed it while beaming with pride and love. This was consistent throughout the people on this island; no matter who you talked to, they were more than happy and willing to tell you about their country. 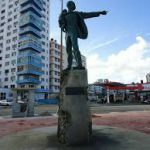 George Orwell once said that “patriotism is defensive: it is a devotion to a particular place and a way of life one thinks best, but has no wish to impose on others.” This quote perfectly aligns with the way Cubans view their country. They love it and wouldn’t want it any other way, but have no obligation to make other countries follow their way of life. They are content in themselves and it is absolutely refreshing to hear a group of people acknowledge their flaws but still love who they are. 1. Education, including university, ACTUALLY is free. For Cubans. 2. You have to win a spot in the major you want. In the U.S, you apply to colleges with a stated major. 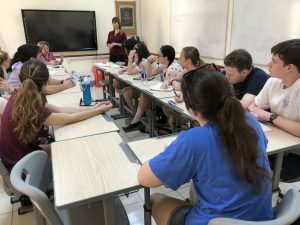 In Cuba, you apply to colleges with your top 5 majors ranked. Since they only allow a certain amount of people to work in a certain field, availability of that major depends on the scores of others, and the need for that profession. If Cuba has enough doctors at the moment, you might have to settle for being a teacher. Or if there is great need for doctors, but you were outranked by too many people, all the spots may be full and you might have to settle for your second pick. It is a very competitive process, so working hard in school and excelling on your entrance exam are key factors in getting the occupation you desire. 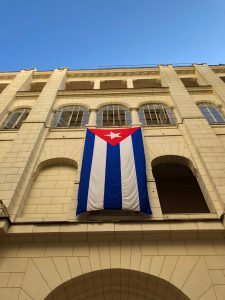 However, there is a major drawback of higher education in Cuba if you are not planning on using it to get a job elsewhere. This is due to point number three. 3. All occupations make the same salary. This is where Cubans take a hit. Regardless of their job, they all make the same amount at the end of the month. Except for those who work in tourism, since they can make a lot of money in tips. Actually, the highest paying occupation in Cuba is a taxi driver. Crazy, right? For this reason, many Cubans who get higher education in a demanding field, such as the medical field, end up working in other countries. But regardless, the Cuban school system is renowned for producing amazingly skilled workers, so they must be doing something right. Before leaving for Cuba I constantly wondered what I was going to be eating. What foods grow there and how do they cook it? Would I enjoy it or would I have to rely on self-brought snacks night after night? 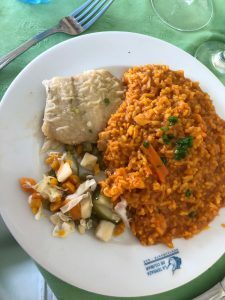 Having studied abroad before, I figured my experience may be synonymous with that of the past: the same traditional breakfast every day and a hit-or-miss dinner I would have to eat either way. 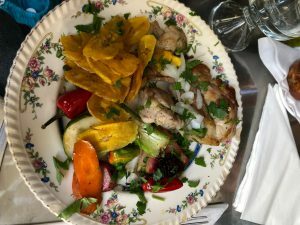 So I kept my expectations low and set off for Havana, where two weeks of culinary immersion awaited me. 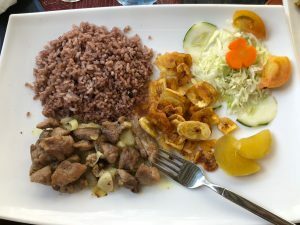 However, upon arrival to Cuba, I soon realized that dining would be a whole different experience than my previous study abroad trip. All twelve of us students got to live in the same house, so meals were always enjoyed as one big group. It was definitely a highlight of my time spent in Cuba since we had so many great conversations and debates over dinner. Dinner was also served family-style, so you could take what you wanted and none of what you didn’t. I loved this aspect because I always want to eat everything on my plate as not to waste any food, so I could take what was manageable for me. green beans, beets, tostones, salads, and plenty of delicious soups. Breakfasts included items such as eggs, bread, guava, watermelon, papaya, pineapple, muffins, crepes, a fresh toast of sorts, and coffee. Natalia always went above and beyond, but even then she would ask if anyone wanted more of any of her dishes. She also frequently made desserts such as jello, pudding, flan, or bought us ice cream from the internationally renown Coppelia. Being back in the States I can say that I truly do miss the food in Cuba. I genuinely looked forward to every meal and found out how much I loved such seemingly simple things like bean soup with rice. Now, for all of my picky eaters who may not be sold yet, let me reassure you that you will find plenty of food you love or grow to love on this trip. I am definitely on the picky side, and before going to Cuba I think I had eaten beans once in my life. These days, I legitimately crave them. So don’t be scared to try new things! Because if anyone can make a tasty bean and rice dish, it’s the Cuban people, and especially our host mom Natalia. Looking back, I think much of my authentic experience was based around the food I ate. Cuisine is such a cornerstone of any culture, and I felt that the Cuban people really embraced us through their dishes. 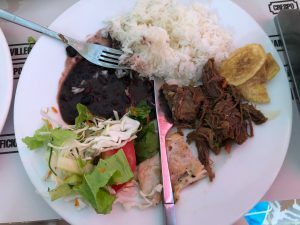 Not only were we offered tasty, well-known dishes, we were also offered an invitation to join the Cuban people around us in their dining experience. At restaurants we were often swept off our feet by the band that was playing, and ended up with an instrument in hand or dancing to the beat. 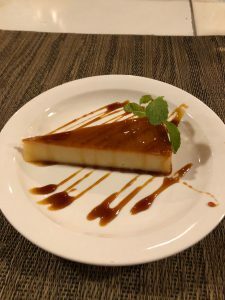 Cuban restaurants have a way of making you feel so welcome and included, and in that way, they are a perfect mirror of Cuba itself.